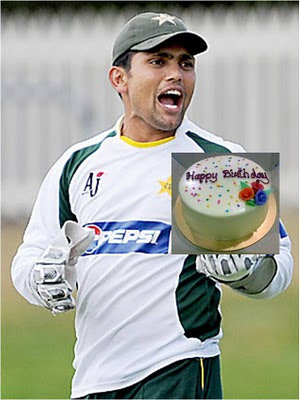 Pakistan plays its next match on 14th March against Zimbabwe and Kamran Akmal was seen training hard for the game. When questioned on whether he expects to be in the playing XI on the day, Kamran said he was sure he would be playing since he's taken on the responsibility to provide opposition batsmen with the best ever playing experience possible on their birthday. He managed to fulfil his responsibility very well against New Zealand when he made sure that Ross Taylor got the best birthday gift ever. And now Kamran is gearing up to provide the Zimbabwe captain, Elton Chigumbura, with a similar experience on Monday to celebrate the Zimbabwe skipper's 26th birthday. Elton Chigumbura is really excited to play against Pakistan on his birthday on 14th March and is looking forward to some dropped catches from Kamran Akmal and an ultimate birthday experience. It's probably because he's sponsored by Sahulat Bazar!